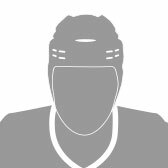 Sens Pick Tracker - Tracking the draft odds for you! The Colorado Avalanche will select 4th overall! 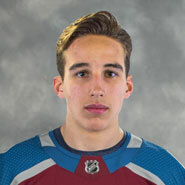 At the NHL Draft Lottery on April 9, Joe Sakic and the Colorado Avalanche obtained the 4th overall pick in the random draw. The team was guaranteed to draft within the Top 4 due to the Ottawa Senators finishing last in 31st place this season. Final stop : NHL Draft on June 21. Based on the Senators' performance this season, here are the draft odds for the Colorado Avalanche. Due to the recent events surrounding the Ottawa Senators, a lot of experts believe the team will finish at the bottom of the league this year. 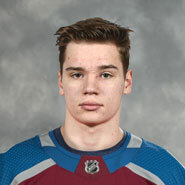 If the Senators finish 25th or worse, this guarantees the Colorado Avalanche to receive a Top 10 pick in the upcoming draft. How good would these players look in burgundy and blue? Let's not forget the trade that made all of this possible. On November 5th, 2017, the Colorado Avalanche traded forward Matt Duchene to the Ottawa Senators in a three-team deal with the Nashville Predators. Multiple assets were swapped in the deal, including the very important 2018 or 2019 first round pick from Ottawa. With Ottawa selecting Brady Tkachuk in the first round of the 2018 NHL Draft, the Senators confirmed they were sending their 2019 first round pick to Colorado. 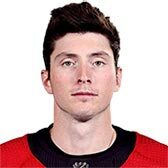 On February 22, one day after being left out of the lineup by the Senators, Matt Duchene was traded to the Columbus Blue Jackets by the Ottawa Senators for Vitaly Abramov and Jonathan Davidsson, a first round pick in the 2019 NHL Draft and a conditional first-round pick in 2020. Duchene's trade follows a trend set last year, he will play his first game as a member of the Blue Jackets against the team that traded him away. The last few years have been a roller coaster ride for Ottawa Senators fans as a lot of key events happened before and after the Duchene trade. 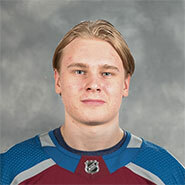 These events affected the Senators positively or negatively and therefore have an impact on the first round pick sent to the Colorado Avalanche. Let's start from the beginning shall we? Pierre Dorion was named the Ottawa Senators' eighth general manager Sunday after Bryan Murray, citing family and health concerns, stepped down from the role. Dorion, 43, has been with the Senators for nine seasons, the past two as assistant general manager. "It's surreal. It doesn't feel like it's actually happening but it is," Anderson said. "We played our hearts out and gave everything we have and we've got nothing to be ashamed of. We laid it out there and we put it on the line. Guys were dog tired out there and battling and it just wasn't in the cards for us." Center Matt Duchene was traded by the Colorado Avalanche to the Ottawa Senators on Sunday as part of a three-team trade that also sent center Kyle Turris from the Senators to the Nashville Predators. Duchene dressed for Colorado's game at the New York Islanders and played 1:59 in the first period before being removed from the game. "The Senators are a team that was one goal away from the Stanley Cup Final last year," he said. "Had they got there, you never know what happens. That's something that I am dying for, to have the opportunity at that. To be here on this team that I believe a lot in already, it's very special. There's going to be an adjustment process. Hopefully it's short, but I just want to bring my best to this team and be part of a long playoff run. That's the goal." “I’m not going to blow a lifetime of working hard to support a hockey team. It’s not gonna happen,” Melnyk said at Parliament Hill, prior to puck drop on the Senators alumni game. “The bigger question is whether I’m prepared to blow all that money I made over many years in a different industry in a different country. It's a deal which promises to transform Ottawa's downtown core and secure the future of the Ottawa Senators in the capital. The National Capital Commission and RendezVous LeBreton have agreed in principle for a fair market value of 53 acres of land right in the heart of downtown Ottawa. The Ottawa Senators are parting ways with president and CEO Tom Anselmi. The Senators also announced a three-year contract extension for general manager Pierre Dorion, saying the team’s goal remains to win a Stanley Cup. Slightly over a week ago, Dorion laid out his plan for the club’s future at the Senators owner’s home in Barbados. Melnyk felt Dorion was the person to see it through. The Ottawa Senators were eliminated from contention for the Stanley Cup Playoffs after a 6-2 loss to the Edmonton Oilers on Thursday. The Senators were one goal from reaching the Stanley Cup Final last season but will miss the playoffs for the second time in three seasons. Ottawa Mayor Jim Watson says he plans to confront Eugene Melnyk to find out whether the Ottawa Senators owner is serious about redeveloping LeBreton Flats. "If he's constantly hedging his bets, he better tell us," Watson told reporters following a National Capital Commission (NCC) board meeting Thursday. The Ottawa Senators have traded forward Mike Hoffman less than one week after a story broke about his partner’s alleged harassment of team captain Erik Karlsson’s wife. 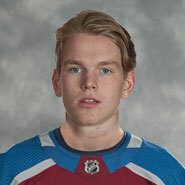 The Senators announced Tuesday they have dealt Hoffman, prospect defenceman Cody Donaghey and a fifth-round pick in the 2020 draft to the San Jose Sharks for Danish forward Mikkel Boedker, defenceman Julius Bergman and a sixth-round pick in the 2020 draft. Mike Hoffman was traded to the Florida Panthers by the San Jose Sharks on Tuesday, about two hours after being acquired by the Sharks in a trade with the Ottawa Senators. Hoffman went to the Panthers along with a seventh-round pick in the 2018 NHL Draft, with the Sharks receiving a fourth-round and a fifth-round pick in 2018 and a second-round pick in the 2019 NHL Draft. "Trading Mike Hoffman was something that we needed to do," Dorion said. "Our dressing room was broken. We have to have a dressing room that wants to win together. Key components for us moving forward are character, leadership, accountability, and we're very happy with the return that we got on Mike Hoffman. Alex Burrows’ time with the Ottawa Senators has come to an end. The longtime Canuck was placed on unconditional waivers on Tuesday, for the purpose of buying him out. The move will save Ottawa one-third of his remaining $2.5 million salary, on a contract that was scheduled to expire after this season. "He really didn't even need to ask. I'm happy to oblige. "@mccomax17 confirms he'll be passing #89 to @Mikkelboedker next season, talks about his long history wearing #17 and more. 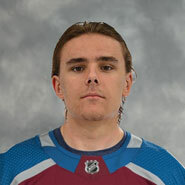 He was he was surrounded by racks of the team's newer jerseys that were actually manufactured this decade. Erik Karlsson was traded to the San Jose Sharks by the Ottawa Senators on Thursday, ending months of speculation about the future of the two-time Norris Trophy winner. "I'm just going to speak from my heart. 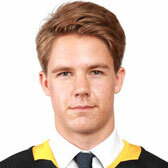 I wish we were standing here in different circumstances," Karlsson said in Ottawa. "It's a very emotional and sad day for me and my family, but it's an unfortunate part of the business." The Ottawa Senators have placed forward Zack Smith on waivers. Smith has three years remaining on a four-year, US$13-million dollar contract extension he signed in January 2017. 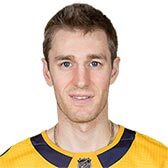 The 30-year-old native of Maple Creek, Sask., has played his entire NHL career with Ottawa and has 85 goals, 80 assists and 612 penalty minutes over 542 career regular-season games. The Ottawa Senators must have heard that large balls were all the rage when they planned a pregame show to remember against the Chicago Blackhawks at the Canadian Tire Centre on Thursday night. While the music was blaring and the light show amazed audiences during the pregame, dozens of spherical injury hazards fell from the sky, striking victims that weren’t paying attention — or had just underestimated the projectiles’ size and weight. Cody Ceci (upper body injury), Ryan Dzingel (lower body injury) and Alex Formenton (concussion) have been placed on the IR.Defenceman Christian Jaros and forward Nick Paul have been recalled from Belleville (AHL). Remember that Dion Phaneuf guy? Brady Tkachuk will be out one month for the Ottawa Senators because of a torn ligament in his leg. "It's a tough one for him," Senators coach Guy Boucher said after practice Wednesday. "It's a tough one for us too because he was doing so well. He's a big part of our identity." Mark Borowiecki suspended - Part 1/? 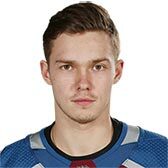 Ottawa Senators defenseman Mark Borowiecki has been suspended for one game, without pay, for elbowing Boston Bruins defenseman Urho Vaakanainen during NHL Game No. 125 in Ottawa on Monday, Oct. 23, the National Hockey League's Department of Player Safety announced today. Mark Borowiecki suspended - Part 2/? Ottawa Senators defenseman Mark Borowiecki has been suspended for three games, without pay, for an illegal check to the head of Vegas Golden Knights forward Cody Eakin during NHL Game No. 163 in Las Vegas on Sunday, Oct. 28, the National Hockey League's Department of Player Safety announced today. The veteran netminder was placed on waivers Wednesday, after a disastrous outing on Tuesday that saw him get pulled after giving up an embarrassing goal from the opposing blue line. 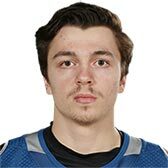 The 19-year-old 2017 second-round pick was told after Ottawa’s 4-2 win over the Buffalo Sabres Thursday evening he would be heading back to the OHL’s London Knights for the remainder of their season. Sabres won 9-2 in the second game of a home-and-home series between Buffalo and Ottawa. Happy Monday everyone! 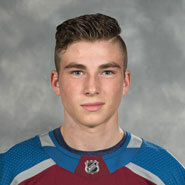 Today is the first anniversary of the Matt Duchene / Sam Girard / 2019 1st Round Pick trade! To celebrate this event, I have created a thread with graphics to make a recap about all the pieces involved in the trade. The Ottawa Senators held a closed-door, players-only meeting after dropping a 4-3 overtime loss to the Tampa Bay Lightning at Canadian Tire Centre on Sunday night. The Senators (5-6-3) have now lost six of their last seven games and the players know they need to right the ship. "We dealt with this long before this video was released," assistant captain Mark Stone told reporters, according to TSN. "As a coaching staff, as management, and as players, it was dealt with internally and the way it should be. We're going to move forward and grow with it. 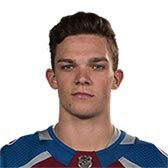 Condon was expected to be sent down to AHL Belleville after he cleared waivers and the move finally became official Tuesday. Days after the Ottawa Citizen and Ottawa Sun published a leaked video that showed a vanload of Ottawa players talking crap about an assistant coach during an Uber ride in Arizona, the Senators informed veteran hockey reporter Ken Warren that the Sun and Citizen would no longer be allowed to travel with the team. Twitter Bots supporting the Ottawa Senators and Eugene Melnyk - Part 1/? The accounts then began liking and retweeting each other’s posts and in short order a narrative began to unfold beneath the Globe and Mail post: The Senators were victims and the media — specifically the Citizen and the Sun — had treated the organization unfairly. The Edmonton Oilers have acquired defenceman Chris Wideman from the Ottawa Senators for a sixth-round pick in the 2020 NHL draft. The pick was previously acquired by Edmonton from the St. Louis Blues in exchange for defenceman Jakub Jerabek on Oct. 1. “Unresolved issues” between the main business partners chosen by the National Capital Commission (NCC) to lead the redevelopment of LeBreton Flats are the one thing holding back the massive city-building project, the Crown corporation said on Thursday. Twitter Bots supporting the Ottawa Senators and Eugene Melnyk - Part 2/? "Found another Twitter bot that has already tweeted about the Lebreton Flats Facts website. Appears to be connected to the rest of the discovered bots -- created in the last month, traceable image, same language & syntax." The Ottawa Senators have lost forwards Bobby Ryan and Matt Duchene to injuries during their game against the Montreal Canadiens. In a statement of counterclaim filed in Ontario Superior Court on Tuesday morning, Ruddy launched a countersuit claiming $1 billion in damages against Melnyk and Capital Sports Management, which last month filed a $700-million lawsuit of its own against Trinity and its associates over an alleged conflict of interest surrounding the parties’ joint redevelopment of LeBreton Flats. According to a statement of defence and counterclaim filed Monday, the developer alleges Melnyk's "true aim" is to force either Trinity or the City of Ottawa to pay for a $500-million arena, and claims the hockey franchise has "admitted lacking the cash" to contribute to the project. The offseason is recapped and the first steps in the rebuild of the Senators are shown in this episode of All Roads Lead Home. The Ottawa Senators' blue line will be without the services of and for the next three and four weeks, respectively, head coach Guy Boucher revealed on Saturday, while forward Magnus Pajaarvi is day-to-day with an upper-body injury. Sens close 2018 in the 31th place after the Los Angeles Kings win over the Colorado Avalanche. The Ottawa Senators have placed forward Tom Pyatt on waivers, according to Sportsnet’s Elliotte Friedman. The 31-year-old winger has appeared in 37 games for Ottawa this season, posting two assists in that span. The Ottawa Senators acquired goaltender Anders Nilsson and forward Darren Archibald from the Vancouver Canucks on Wednesday for goaltender Mike McKenna, forward Tom Pyatt and Ottawa's sixth-round selection in the 2019 NHL Draft. In yet another dramatic twist in the LeBreton Flats legal saga, the main combatants have agreed to mediation to see if their disputes can be settled before Jan. 19, the date set by the National Capital Commission to end its relationship with RendezVous LeBreton. Matt Duchene and Thomas Chabot feature in the second episode of All Roads Lead Home. During a corporate event in Toronto, Melnyk said that the club’s expectation is that their rebuild will take another season or two, according to a press release form the team. However, during the event, Melnyk said that the organization is “all-in” for a “five-year run of unparalleled success,” and that he plans to spend close to the NHL’s salary cap every year from 2021–25. The Senators plan to sit center Matt Duchene to avoid injury risk before the 2019 NHL Trade Deadline, TSN reported. And they hope to know in the next 48 hours whether forward Mark Stone will sign a new contract with them, the Ottawa Sun reported. Unless there is a change of heart, Mark Stone’s days with the Ottawa Senators appear to be numbered and he may have suited up for his final game with the organization. 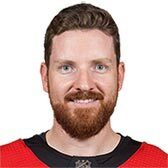 Sources say the club’s alternate captain will likely be a healthy scratch unless the two sides are able to come to an agreement on a new deal before the puck is dropped at 7 p.m.
Duchene, Stone and Dzingel were all healthy scratches for Ottawa's game Thursday night at New Jersey. All three are unrestricted free agents after this season and have been the focus of trade rumours heading up to Monday's trade deadline. The Senators said earlier in the week that Duchene would sit out the next few games, but hadn't made a decision on Stone or Dzingel before Thursday. Matt Duchene was traded to the Columbus Blue Jackets by the Ottawa Senators for Vitaly Abramov and Jonathan Davidsson, a first-round pick in the 2019 NHL Draft and a conditional first-round pick in the 2020 draft on Friday. 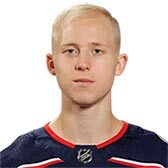 The Ottawa Senators have traded Ryan Dzingel and a seventh-round pick in 2019 to the Columbus Blue Jackets in exchange for Anthony Duclair and a pair of second-round selections in 2020 and 2021. 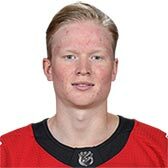 The Vegas Golden Knights have acquired forward from the Ottawa Senators in a deal for defensive prospect Erik Brannstrom, forward and Dallas' second-rounder in 2020. Following the deal, Stone said live on TradeCentre that he and the Golden Knights have agreed to an eight-year extension. TSN Hockey Insider Bob McKenzie reports the deal is for $9.5 million per season, but the deal cannot be completed until Friday. Dorion - "Today is proudly the proudest day I've ever had as a general manager in the NHL"
“Me, as a hockey guy, I’m elated about it. I know when I brush my teeth tonight when I go to bed, and I look at myself in the mirror, I’ll say, ‘that was a long day, but we did something good for the Ottawa Senators today.’ Dorion said at his press conference after the trade deadline. The graphic features the players from the team that was one goal away from the Stanley Cup Finals in 2017 and displays different team jerseys for the players who left or were traded by Pierre Dorion. The Ottawa Senators’ horrible, no good, very bad week just took a turn for the worse. Two days after the completion of a trade deadline fire sale that saw their three top scorers traded away for draft picks and prospects, the last-place Senators were notified Wednesday the mediation effort to salvage the RendezVous LeBreton proposal to build a new downtown arena west of Parliament Hill has failed. And a slow, agonizing death it was. Guy Boucher was fired as coach of the Ottawa Senators on Friday and replaced by Marc Crawford. The Senators (22-37-5) have lost six straight games and are last in the NHL standings. Los Angeles' win over the Arizona Coyotes helped the Avalanche gain ground in their playoff push and subsequently made sure the Senators would not be able to reach the Kings at the bottom of the standings. This guarantees Colorado the best odds in the upcoming draft lottery. The Colorado Avalanche started the celebration on the bench as the clock ran out in regulation. It secured the point they needed to earn a post-season spot. The party that spilled onto the ice moments later? That was just a pleasant bonus. There have been two seasons that most reasonable people in the Nation’s Capital could not wait to end: this relentless, wretched winter and the Senators depressing 2018-19 hockey campaign. The Senators closed out the NHL regular season in meaningless fashion – a 6-2 loss to the Columbus Blue Jackets on Hockey Night In Canada Saturday. The New Jersey Devils have the No. 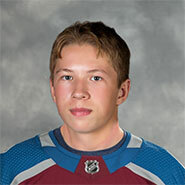 1 pick in the 2019 NHL Draft after winning the NHL Draft Lottery on Tuesday. The New York Rangers won the No. 2 pick, and the Chicago Blackhawks won the No. 3 selection. What essentially started out as a simple project to learn how the NHL API works has turned into a side project in the month of September 2018. Thanks to Reddit and hockey columnists on Twitter, Sens Pick Tracker got the traction it needed to become the go-to website for Colorado Avalanche fans and whoever wants to track Ottawa's first round pick this season in the span of a single day. Welcome to Sens Pick Tracker! Let us fill you in if you are a little lost about this website! 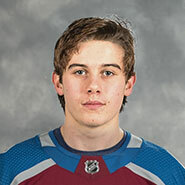 The Colorado Avalanche currently have the Ottawa Senators' first round pick in 2019 due to the Colorado/Ottawa/Nashville trade in which Matt Duchene was involved. This website will serve as your guide throughout the season in order to track the odds.